A potential puppy purchase application is available here to fill out online or print and mail in to us. 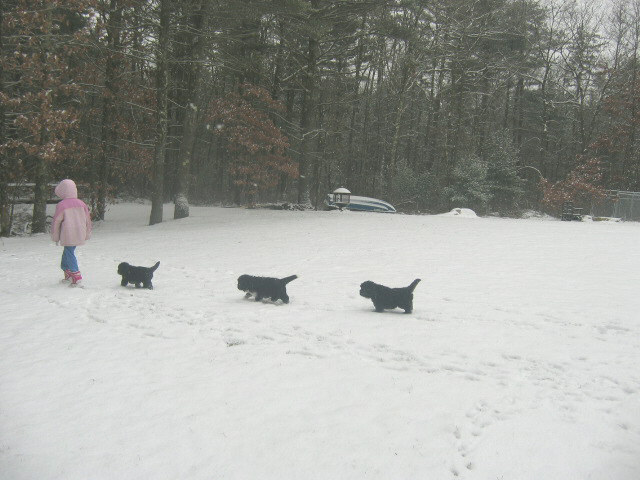 We do not advertise or sell our puppies online. 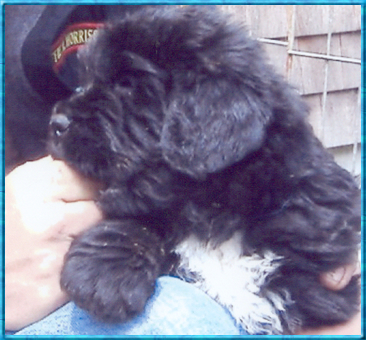 Our web site was designed for you to obtain information about our dogs and breeding programs. 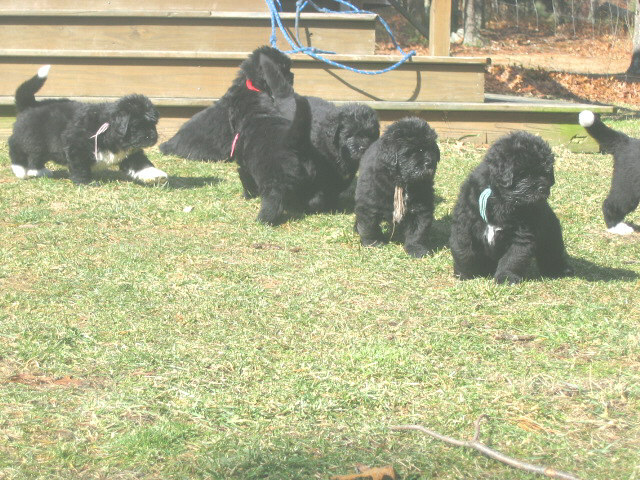 We list our planned breedings and litters for reference. If you are interested in one of our litters, please contact us or fill out our questionnaire. 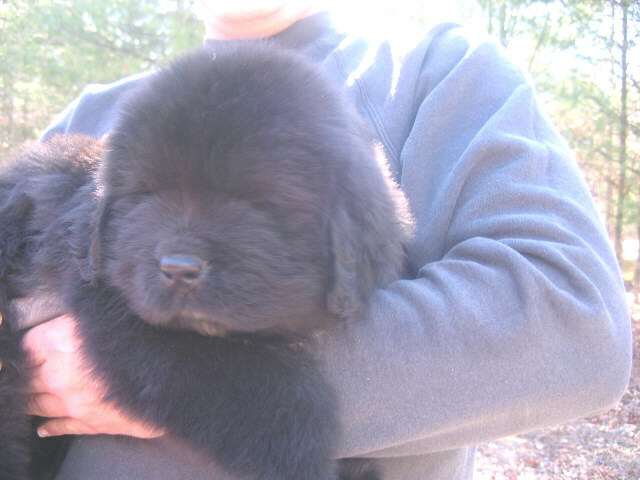 If you have never owned a Newfoundland dog before, please visit the links on the right for more information. 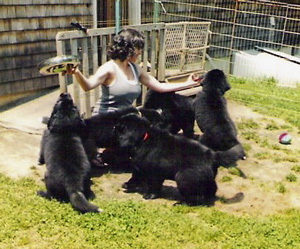 We primarily breed when we expect to keep a pup from the litter for ourselves which is why a great amount of research goes into choosing our Newfoundlands. We only breed to produce best in health, temperament and type. All of our Newfoundlands are Cystinuria checked, certified by the Orthopedic Foundation for Animals and Heart Certified by a Board Certified Cardiologist. 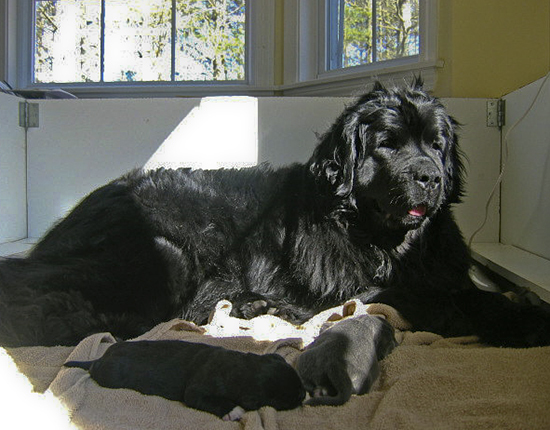 Our pedigrees come from Champion, top producing, OFA certified bloodlines and the Official Newfoundland Breed Standard is the foundation of our breeding program. We put a lot of love, time, energy and resources into our dogs and their offspring. Finding the right homes for our pups is of the utmost importance. Potential buyers must be willing to train their puppy and keep it healthy and happy. This involves proper diet, socialization and exercise – a fenced yard is mandatory. We require that our companion (pet) pups be spayed or neutered at the appropriate age and sell all pet pups with a limited AKC registration. 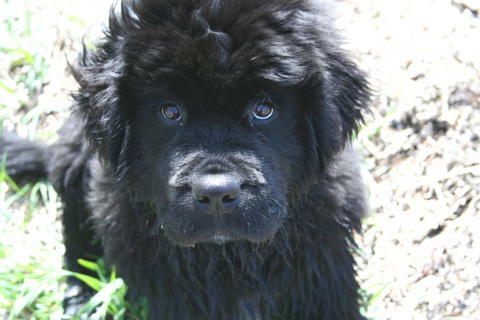 We are happy to provide advice and support for the life your Newfoundland and we enjoy staying in touch with our pups and their new families. 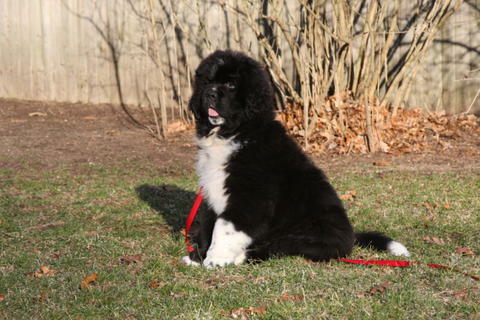 We are a highly responsible breeder and in the unfortunate event that the new owners are unable to keep their Newfoundland we will gladly take it back.